While we're not going on an all out backpacking adventure in New Zealand, we are doing some hiking and fun outdoors-y stuff! Including Tongariro Alpine Crossing, kayaking in Abel Tasman & exploring Waitomo Glowworm Caves! Here is some gear we're bringing to make the adventure go more smoothly. Ok, so this might not be technical, but I'm really excited about it! My friend suggested the Joby GorillaPod Hybrid Gray ... it looks so goofy but can be wrapped around anything! On our trip to Italy we were always hoping for a rock or something to set my camera on, but this will make me feel more confident my camera won't fall off a cliff :) And it really eliminates the need for a stranger to take a terrible photo, cutting off the top of Matt's head. Win-win. During the Alpine Crossing, they advise you two bring layers because the weather is much cooler at the top of the summit. It can drop 30 or 40 degrees in just a couple of hours! We're preparing with warm, insulating, and moisture wicking clothing, in light layers. Technical clothes (running shirts and snowboarding shells) are the best, as they weigh the least and work so well. These just looked too fun! 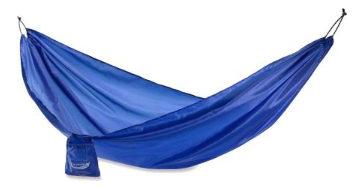 This isn't the exact hammock we got, but it seems similar. It packs up into itself and take up pretty minimal space in our suitcase. I'm day dreaming about pulling over on the side of the road and posting up for an hour or so. Sounds awesome, right? Rocky terrain, clumsy people - enough said. We bought a set of 2, so we will use 1 each when needed. But they can stay tucked in a backpack when they aren't needed. These are the hiking poles we purchased. This is some of the gear we're taking! Have any other suggestions for us to bring?